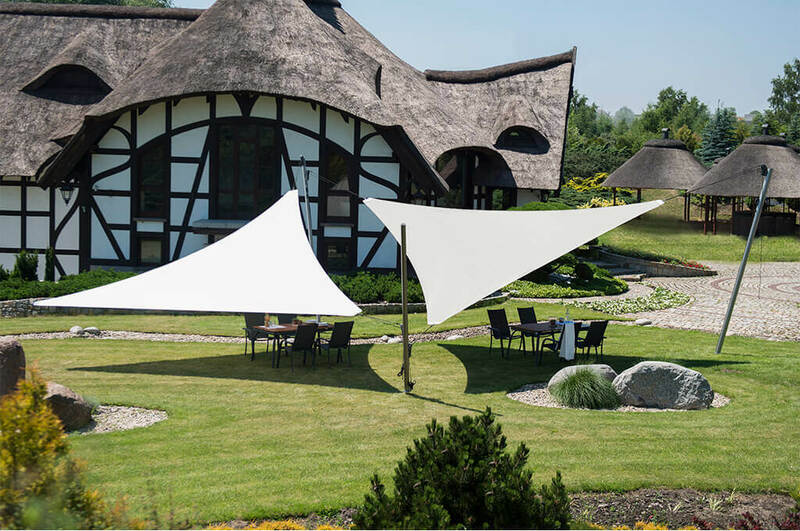 Steady and safe construction of this shade sail makes an avantgarde and eye-catching installation. 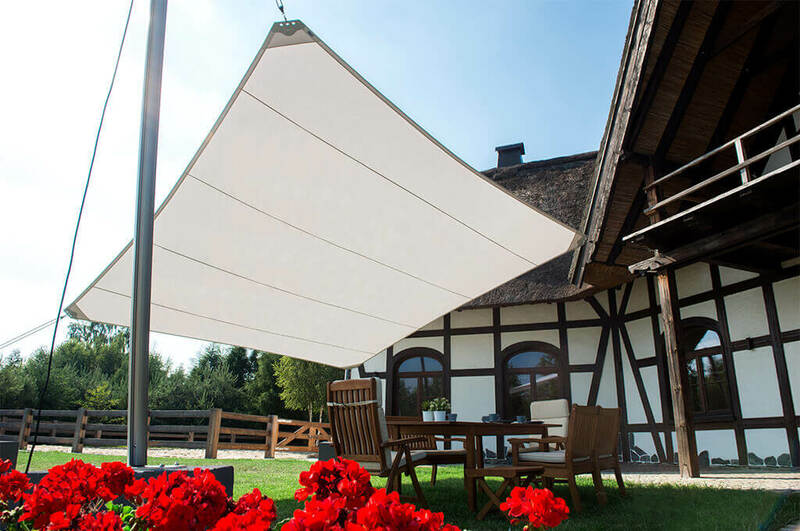 Its aluminium shade sail frame is equipped with height and material draw regulation systems. 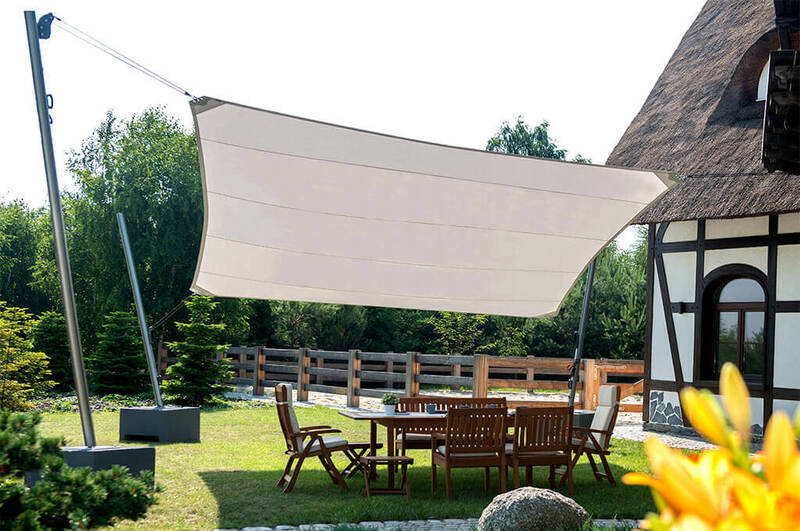 The construction allows for a quick and easy mounting and dismantling of the fabric and it can easily adjust to weather conditions. 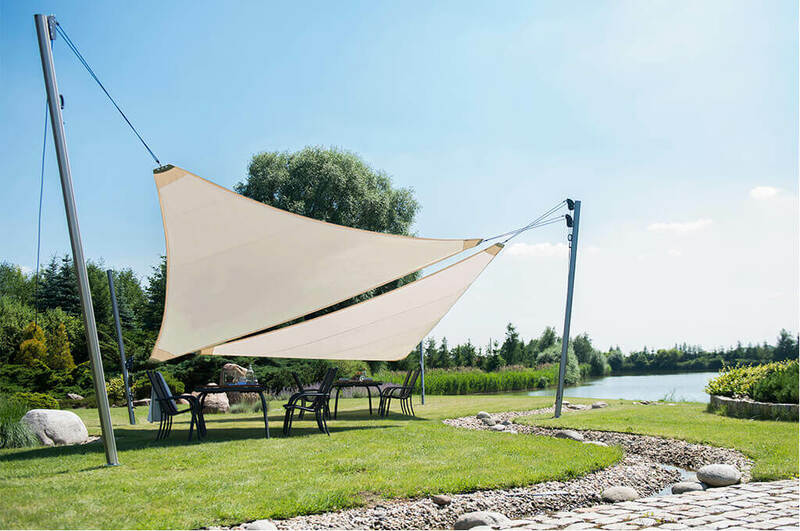 Thanks to its unique shape and properties of the used materials, this shade sail square can be fixed to an elevation or to the ground. 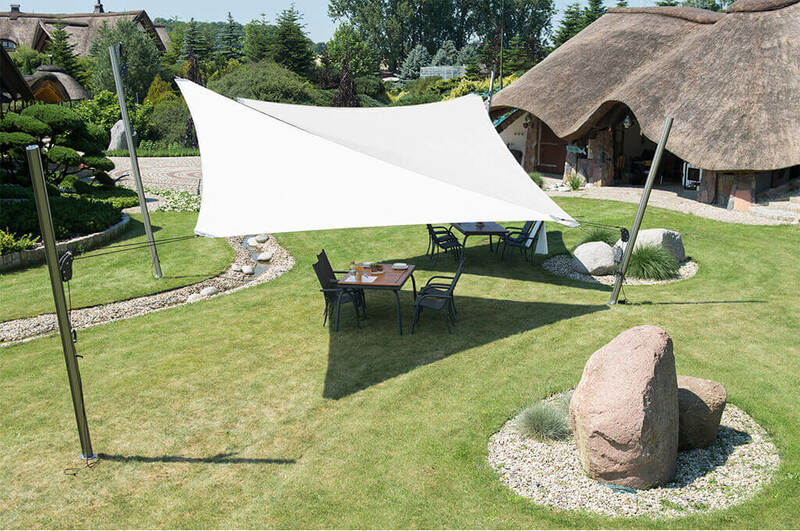 Fabric – this shade sail awning is made of special acrylic fabric including Sunacryl fibres coated with Cleangard layer that protects colours and ensures extreme resistance to abrasion, dirt and adverse weather conditions. This product is available in various sizes and shapes. Thanks to a unique opening system (a handle with winding system), it allows for the mast angle of almost 75 degrees and variable shade sail angle. What is more, the construction can be additionally equipped with lightning, which makes it perfect in the evening or at night.